It carries three names, perhaps even four, depending on the country in which you are standing, and the time in history to which you refer. 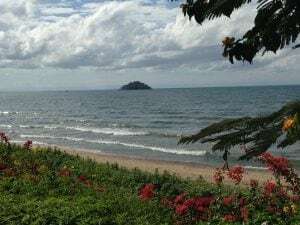 It is known as Lake Malawi if you are in the nation of Malawi, but if you are in Tanzania the same lake is called Lake Nyasa, or move over to Mozambique and it is known by many as Lago Niassa. If you go back in history to the time of David Livingstone’s exploration of this region, as he watched the fishermen at night with their glowing fishing lanterns far out on the lake, and you would recognize it as the “Lake of Stars”. 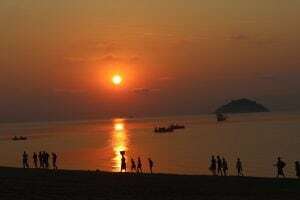 Lake Malawi is the ninth largest lake in the world, and the third largest and second deepest in Africa. It is at the far southern end of the Great Rift Valley, with origins far to the north in the Middle East, with northern links in the Sea of Galilee and the Dead Sea in Israel. It is home to more species of fish than any other lake, including at least 700 species of cichlids, and is a magnet for water sports enthusiasts from all over Southern Africa. 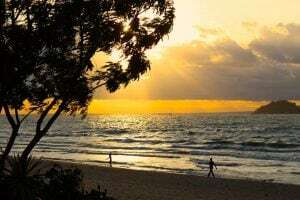 Considered one of the most beautiful places in all of Africa, Lake Malawi is home to the annual “Lake of Stars” celebration in late September. This arts extravaganza of international, regional and local arts and talent, combines drama, dance, and poetry, along with a mix of the traditional past, to entertain and educate the thousands of visitors who visit the lakeshore for this event. The lake is not without its memorable moments. There were the years of transporting thousands of captured slaves across the lake from the trading centers of Karonga, Nkhotakota, and Salima. This was the shortest route to the island of Madagascar, then to Arabia and India. They serve are sad chapters in the history of sub-Sahara. Then there was the first naval battle of World War 1. On 16 August 1914 the British Gunboat Gwendolen, commanded by Captain Rhoades, received word of the outbreak of World War 1. His orders were clear and concise, “sink, burn, or destroy” the only German gunboat on the Lake, the Hermann van Wissmann. When Rhoades fired a single volley at the German gunboat it signaled the first naval battle of World War 1. And it was fought on Lake Malawi deep in the sub-Sahara! Many people can remember the size of the lake through the term the “calendar lake.” That is because the lake is approximately 365 miles long, 52 miles wide, and has 12 major rivers flowing into it. Hence, one can remember the size of the lake through the parallel to the western calendar. While there is only one source for water to exit the lake, the Shire River that flows to the Zambezi, and then to the Indian Ocean, approximately 80% of the loss of water leaves through evaporation. Anyone who has stood on its shores, peering into the distant mist, or watching as early morning fishermen glide silently back from an overnight catch, or who simply walk its shoreline as their senses fill with the warm sun, soft sand, and gentle lapping of the waves, will repeatedly be drawn over and over to return to the lake that holds many names.